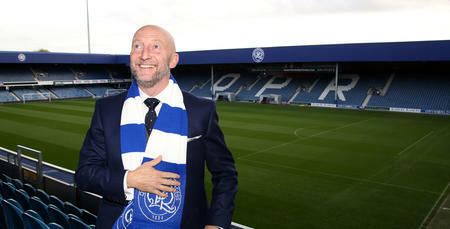 IAN Holloway has made no secret of his joy at being back at QPR. Director of Football Les Ferdinand has said part of the challenge this week has been keeping the new boss calm so he still has plenty in the tank for this weekend’s fixture against Norwich City at Loftus Road. Whether Holloway being able to keep a lid on his emotions was ever going to be achievable, there certainly doesn’t seem to be any concern when it comes to him having energy and enthusiasm come 3pm on Saturday. 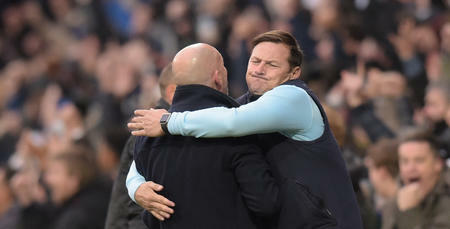 “I feel sorry for my lads,” Holloway told www.qpr.co.uk. “I have just watched Thursday’s training session back and it’s just me talking! But it’s only enthusiasm! “I am absolutely uplifted by the reality of being back here, and just how good it is, how good the lads are, and how great their attitude is. 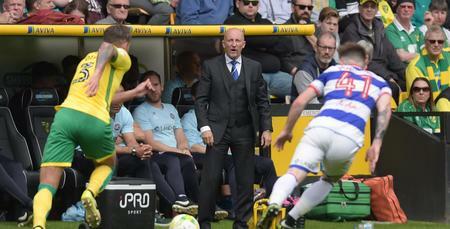 The Canaries come to Loftus Road occupying fifth place in the table, but on the back of a recent run of poor form. Winless from their last five fixtures in all competitions, including a 5-0 loss at Brighton and a 3-2 defeat to Leeds on their last outings, the recently-relegated outfit will be keen to turn that form around. “We’ve got to take on a Norwich side who have been stung in recent weeks, letting eight goals in in two games – that’s not a nice feeling for a team that started the season as well as they did,” Holloway said. “It’s a huge game for me because the last game I ever took was a 4-1 defeat against them with Millwall. I’ve got a burning desire to get that out of my head. “I can’t wait to have a go with this lot, put them under pressure, try to create chances, win the ball off them, and make them feel that Loftus Road is a real scary place to be. Despite their recent form, Holloway acknowledges the difficult challenge Norwich will present. “At the start of the season I predicted they would finish third and go on to win the play-offs,” he said. “I felt that Newcastle and Brighton would be the top two. That’s how I called it. “But this is about us. We’ve got a tough opponent, but we’re going to have that in every Championship fixture. 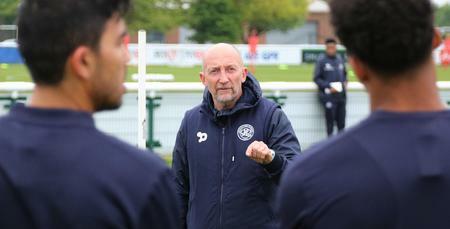 Holloway believes QPR’s last outing – a 1-1 draw at Nottingham Forest – provided a demonstration of what the R’s need to do more. With more than 17,000 fans expected to pack into W12 for the biggest gate of the season, the stadium is sure to be rocking for the return of Holloway, and first team coach Marc Bircham. 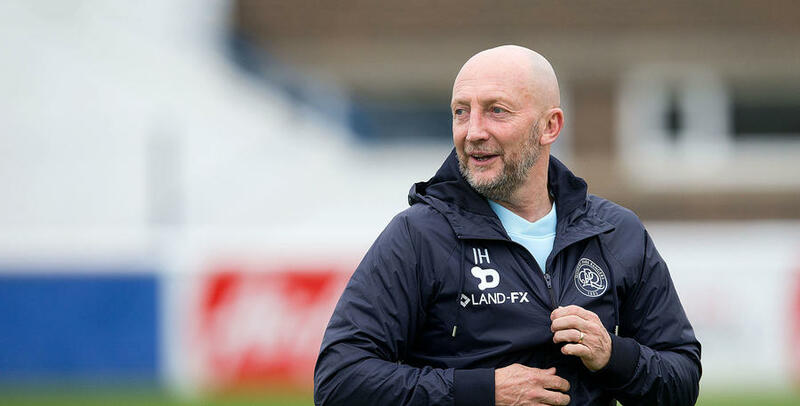 “We need Loftus Road banging again”, Holloway added, “and if I can get Pigbag playing all afternoon, get the volume up, that would be fantastic. “It takes all sorts, and that’s what we need – we need that talent, we need that foot in, we need everything. Above it all, we need all of us to be together. “At the end of the day, all football clubs have their ups and downs. We’ve had more than enough downs, and I want to get us on that upward spiral. But you have to earn that right. “Our owners have been great and they have supported this club incredibly – but they have supported this club far too much on the wrong type of people. “I’m on the right page, I know what I want. And I know those fans with the hoops on don’t half help you – and they are worth fighting for. Conor Washington (groin), Massimo Luongo (foot) and Yeni Ngbakoto (thigh) are all expected to be fit after overcoming their respective injuries, while Ariel Borysiuk is also available for selection after missing our tip to Nottingham Forest due to a family issue. Steven Caulker misses out this weekend, however, with a hip injury. Karl Henry serves a one match ban following his red card against Nottingham Forest. The whole place is really buzzing – now down to the nitty gritty!